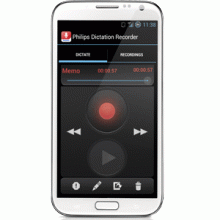 The Philips LFH0743 Recorder App for Android is designed to fit perfectly into Philips SpeechLive & SpeechExec Workflow. 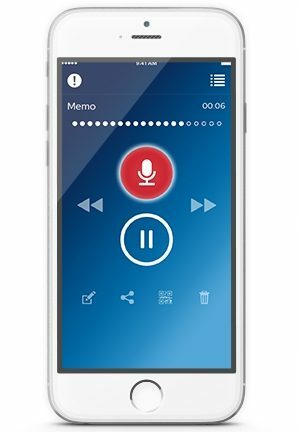 Recording, editing, and sending dictation files from your Andoid Phone offers mobile flexibility and reduces document turnaround times. 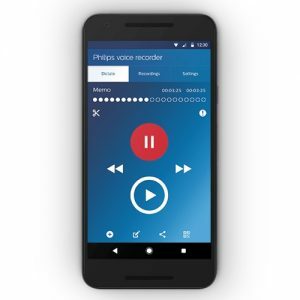 To make use of the latest cloud based solution from Philips, simply sign up for a Speechlive account and then connect your mobile phone using your username and password. 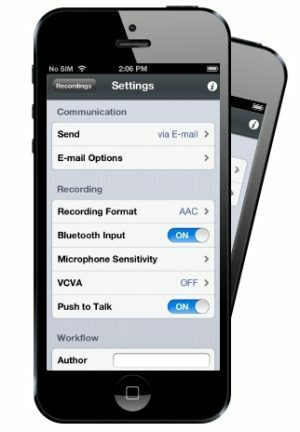 You can then dictate anywhere and send dictation to the Speechlive cloud where it can be accessed by multiple users in order to create a complete 360° secure workflow solution. Speak, Send, Done.